Really, She praises her family, society and homeland with her extra ordinary achievement. Rashika is a grandchild of writer of our gujarati magazine Mr. Ahmed Gul and daughter of Asma and Soyab Laheri. Congratulations. Asad Ahmed Saeed hatia , residance of Rander Passed B.Tech (Mecanaical) exam taken through Dharamsinh Desai University, Nadiyad. with First Class Distinction. He praises his homeland and community. Congatulations. 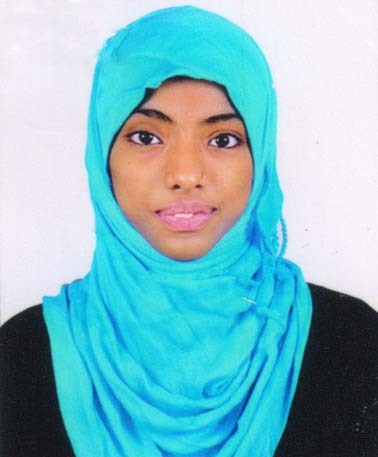 Amena Muhammad Lehri , residance of Alunj and currently stay in Mota-Varachha Passed B.com exam taken through Veer Narmad South Gujarat University, Surat at K.P.Desai Commerce College, Amroli with First Class Distinction. She praises her home land and the community.Congatulations. We Appreciate and express our co-Hearted Gratitude to Our generous donors all over the world for their kind & sympathetic consideration and praises for generous charities to our THE SURATEE SUNNI VOHRA MUSLIM EDUCATION SOCIETY, SURAT. We hope they will continue this noble deed during the coming holy month of RAMDAN too. Insha Allah. Scholarships from Primary to College / Professional Education in Medical, Engineering, Pharmacy, Motor Driving, Tailoring and Computer etc. etc. Medical aid to poor and needy patients and Annual help to helplessWidows. Hostel fees to students at Kondh, Kholvad and Bhattai Hostel particularly and to other hostels in general. The Society is providling bursaries to the students for higher education since its inception,with the passage of time and whole hearted support of our donors,gradually it has expanded its field of services and attempted to provide as much help as it could. Administetive building at A.Y.D. College at Kosamba, near Completion it Will Cost over 5 Crores. We Still need 1 to 1.5 crores for Completion of Project. We started programe “scope in association with zonel partner Baroda in 19-1-2015. At Present two batches ( 40 + 40) are enrolled, in future institute has programe for all students of five branches with slogan. Through our following authorized well wishers. 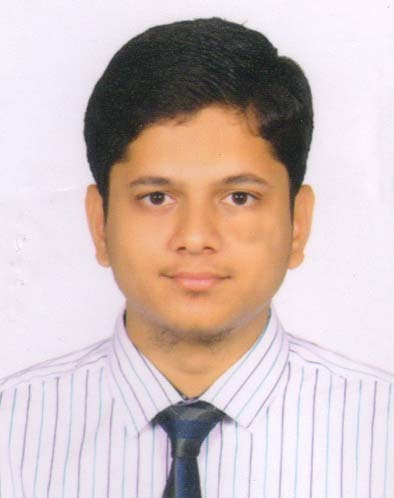 MR. AHMED ISMAIL VAWDA LONDON, U.K.
MR. RASHID SULEMAN OOMERJEE U.S.A. Sometimes with ‘tongue in cheek’ I ask young people to question their parents that with all their lifelong efforts related to masjid, madressah, orphanage, welfare society and so on, how many Hindus ever became Muslim? As you would expect in every case the answer is none.Young people are then urged to consider all the good work and projects that they have inherited from their parents and elders, however imperfect, and then to develop suitable strategies that may spiritually and intellectually stimulate the modern congregations and thereby create a legacy that their children could be very proud to inherit. Put simply if the old folks left behind land and houses, we must endeavour to leave behind educational and vocational values that can make us proud and help our children become exemplary role models for the future. Born to Hindu parents, when their father died, with discreet permission of their mother, four brothers and a sister in Bangalore converted to Islam. At the time Maulana Ismail Rajah of Chasa Village used to travel to Bangalore for performing Taraweeh during Ramadhan. The eldest brother, Yusuf Bhai, who later became a Khalifa of Maulana As’ad Madani (RA) asked Maulana Ismail Rajah to take the youngest brother, 6 years old Ilyas, to Gujarat and provide him with Islamic upbringing and education. Ilyas Bangalory soon became Hafiz ul Qur’an at Degham Madressah, studied early alim course at Ashraful Uloom in Gangoh, and completed the alim course at Darul Uloom Deoband. When I came across his student days, he was a charming young man, very popular on the campus, but crucially showed every promise and enthusiasm of serving the Deen. He was academically gifted and became extremely articulate in both Gujarati and Urdu in his discourse. For any child, let alone an orphan child, the traumatic experience of losing a parent, the physical and geographical dislocation from family and the city of birth, compounded with the unusual experience of embracing a new way of life would be extremely challenging. Ilyas Bangalory was no exception; however, he was patient and resilient in his efforts to remain on the noble path of seeking Deeni knowledge. Most of us will agree that we are usually forthcoming in offering financial support to needy children and bereaved families; however very few amongst us take personal responsibility for their food, clothing and shelter. Please send your comments about this article via email: salaam@talktalk.netNext time, if readers are interested, I would like to share my memories of Maulana Ilyas Qasmi’s inspirational widow and orphan children. Also please encourage your family and friends through social media to sign up for http://vohratimes.org/ FREE newsletter.